With child obesity rates in England rising - but now by a smaller amount than they have been - it's no surprise more children are being treated for the condition. Across all children and teenagers, numbers are on the rise - from 507 cases in 2013-14 and 543 in 2014-15 to the current tally of 621. But there could be more who are undiagnosed, the report said - these are only the ones being treated by paediatric specialists around the country. 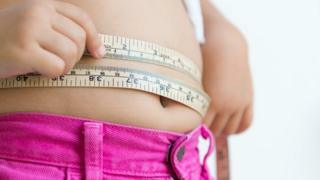 Parents can make an appointment with their family GP if they are concerned about their child's weight. Children's doctors, from the Royal College of Paediatrics and Child Health, say type 2 diabetes is preventable in most cases and more action is need to reverse the trend. Dr Justin Warner, from RCPCH, said the sugar tax was "a positive step" towards reducing sugar in diets, but the government should be doing more to ban junk food adverts on TV targeted at children. Libby Dowling, senior clinical adviser at the charity, said: "We need to make it as easy as possible for children and their families to lead healthy lives and reduce the risk of developing type 2 diabetes and its serious complications."